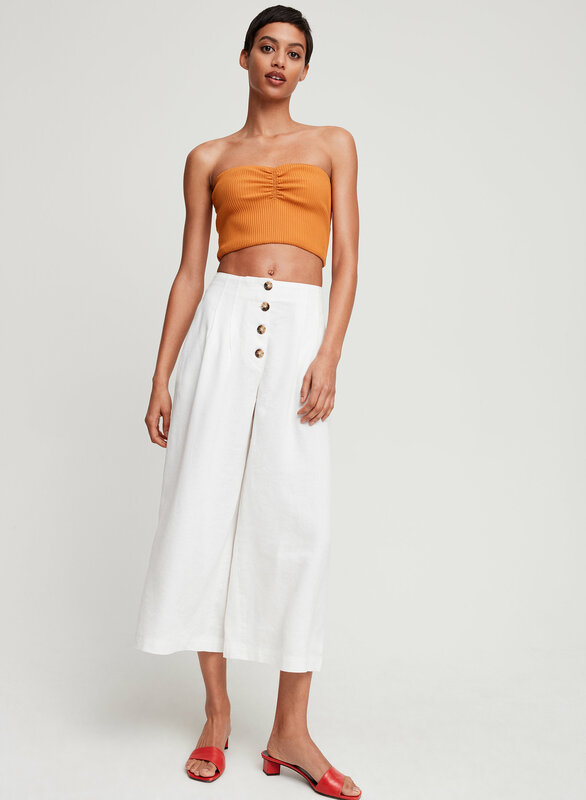 Pairs well with skirts, trousers, brunch, etc. 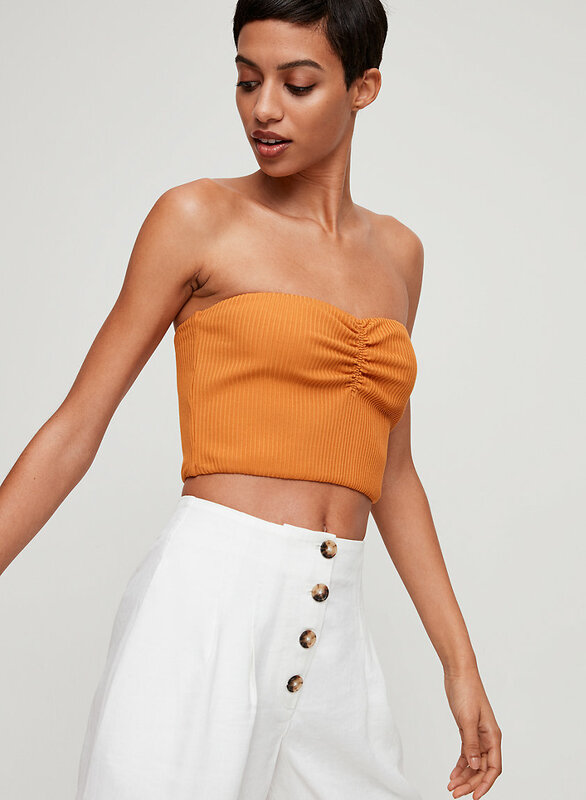 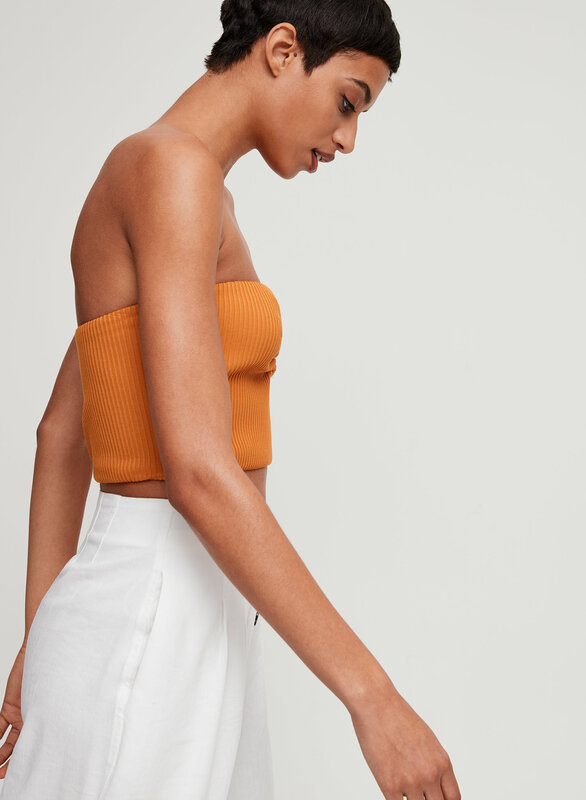 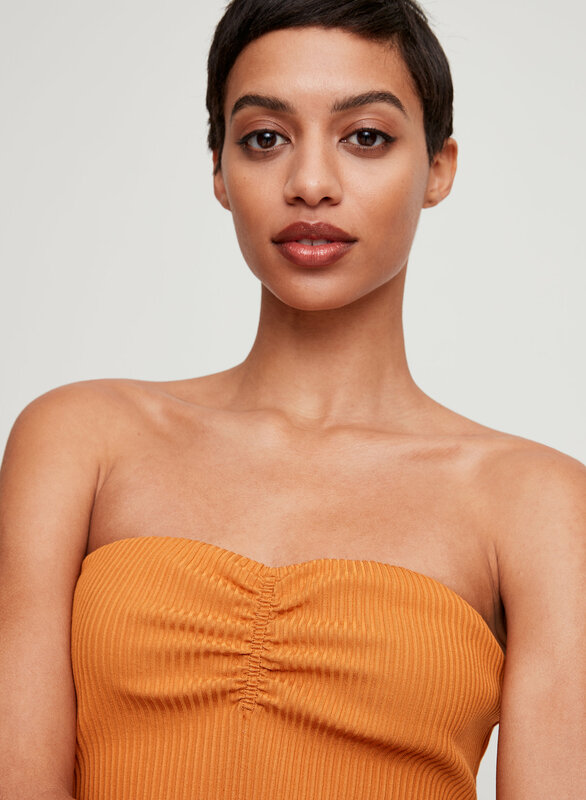 This is a cropped tube top with subtle gathering at the front. 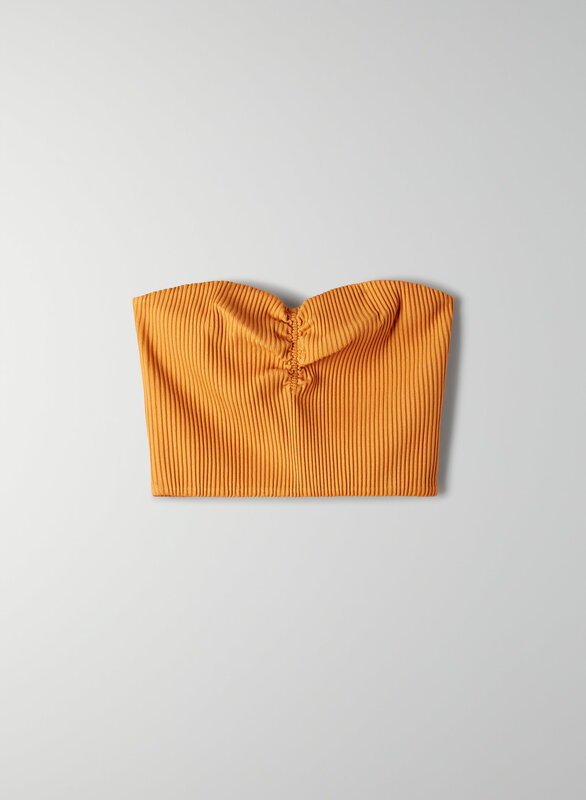 It's made with a stretchy ribbed fabric.